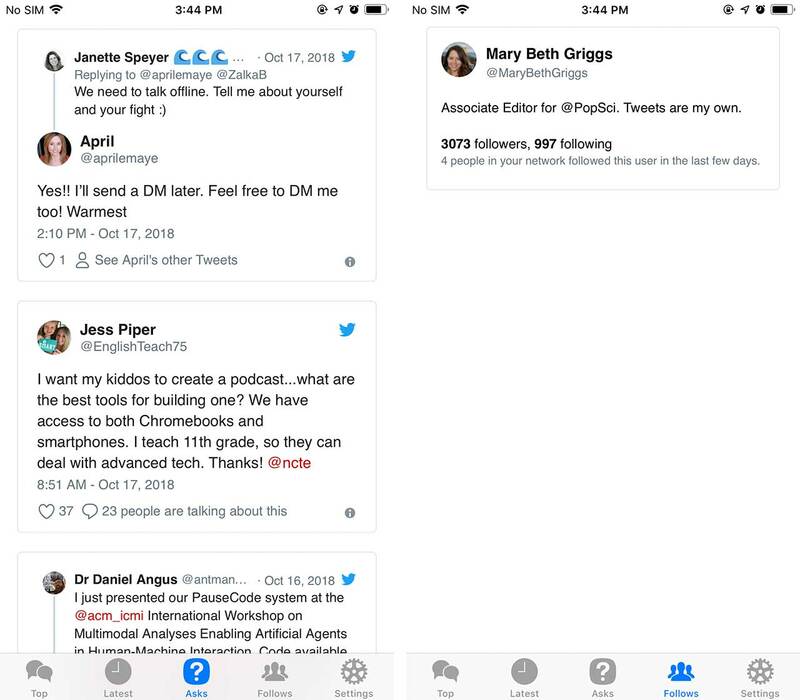 Macaw is a Twitter client for iOS that shows users four unique ways to view their timeline. The app tracks what tweets your followers like throughout the day, and then builds a timeline of liked tweets. Sourcing your Twitter timeline like this gives you a diverse view compared to what you usually see on Twitter, making it quite refreshing. The Top timeline orders tweets based on how many of your followers liked them. This section is to see what your followers are into, and ideally find some new content to consume that you might have missed using Twitter’s regular algorithm. Latest shows the most recently liked tweets that at least one of your followers liked. To me, this section seems kind of random, which is both good and bad. On the one hand, it’s a great place to find weird, random or intriguing content, but there’s also a lot of fluff that I don’t find appealing, so it’s a hassle to scroll through it all. Asks is one of the coolest timelines, but it’s also the least useful. People who tweet out question phrases like “does anyone know” and “what are the best” get their tweets placed here. The idea behind the Asks timeline is interesting, but once again I don’t find myself using it much. The final section is called Follows. It shows people that your followers have followed recently. There are a few options in the app’s settings menu. The first option allows users to either include or exclude tweets from their followers. By default, it excludes them. In my experience turning this off so you can see your followers’ tweets make Macaw a lot better. 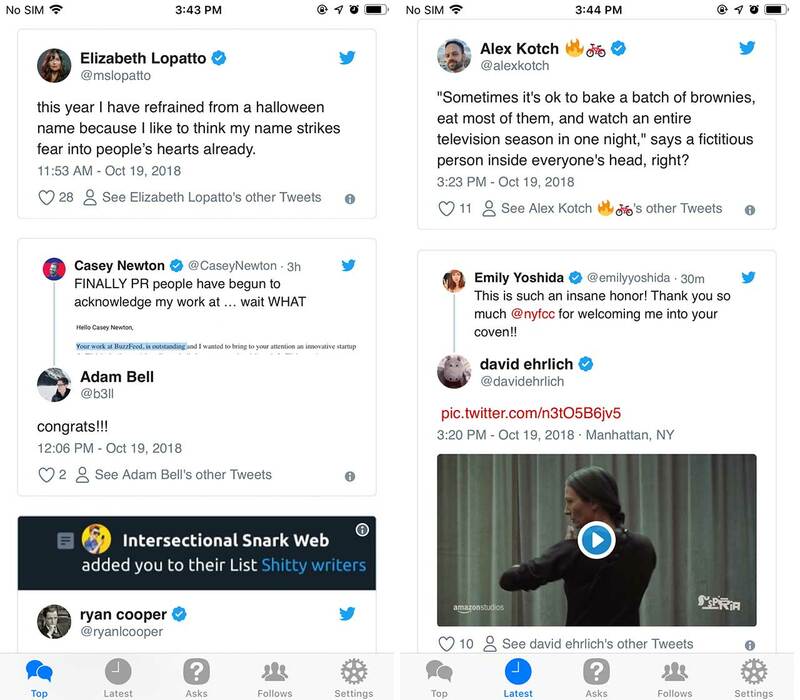 Instead of getting bored with random tweets from people you don’t know, you’ll see your Twitter timeline organized in different ways, plus random tweets to expose you to some new content or ideas. You can also filter tweets in the app by the number of likes it gets. Users can set their maximum amount of likes at 10, 25, 100 or 1000. There’s also a filter that keeps old tweets away. It’s set to six-hours by default, but users can change it to 2, 24 or 96 hours. 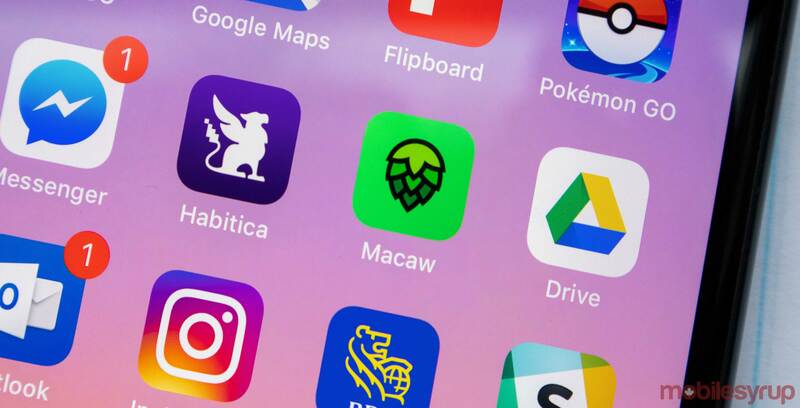 Users can download Macaw for iOS here.